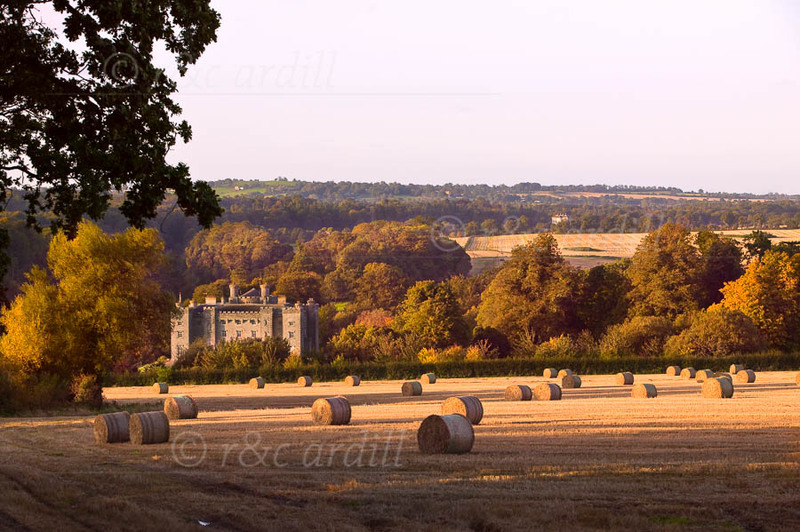 A view of Slane Castle in Autumn. The castle overlooks the River Boyne, just a few kilometres upstream from Newgrange and the site of the famous Battle of the Boyne. The castle dates back to 1785 and is principally the work of James Gandon, James Wyatt and Francis Johnston. Francis Johnston was also the architect responsible for the gothic gates on the Mill Hill, located to the east of the castle. Slane is one of the most picturesque villages in Ireland and is an important heritage site.